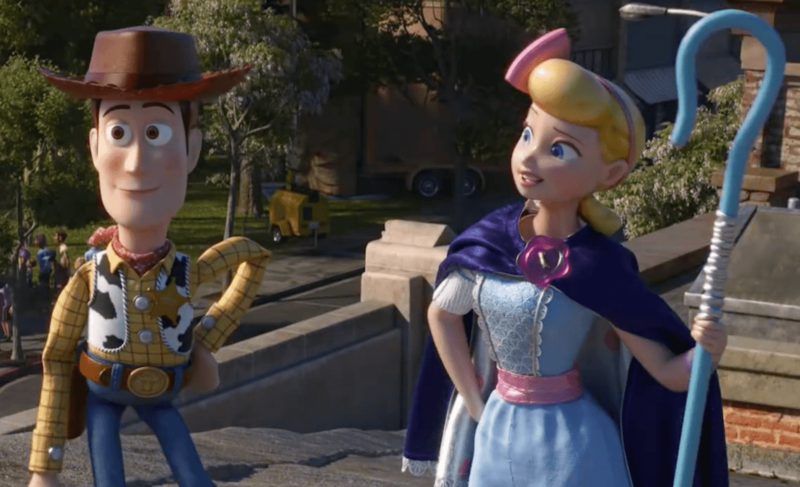 'Toy Story 4' trailer reunites Woody and Bo Peep – AiPT! The new trailer offers a close look at the film’s plot. The first official full-length trailer of Disney-Pixar’s highly anticipated Toy Story 4, was released Tuesday morning. The sequel has been in the works for a long time, with Toy Story 3 having been released nearly 9 years ago. The follow-up adventures brings back Andy’s beloved toys in their new home with the young girl Bonnie. Our tale beings with Woody introducing his fellow toys to Bonnie’s newest toy, and current favorite, Forky — voiced by Tony Hale, Forky is a craft project turned toy. Unlike the rest of Bonnie’s toys, Forky doesn’t see himself as a toy, but instead as a spork turned into trash, and thus finds himself in the midst of an existential crisis. The adventure begins when Forky decides to run away, and the ever loyal Woody decides to rescue him. Along their way back to Bonnie, Woody tries to show Forky why being a toy and bringing children joy is something he should embrace. As with all adventures, things don’t go as planned, and along their journey back to Bonnie, Forky and Woody encounter Woody’s long lost girlfriend, Bo Peep. It’s here in the face of his past that Woody faces his own crisis, as Bo has come to embrace a very different view on what it means to be a toy. In addition to the mainstay voices of Tom Hank and Tim Allen, Annie Potts has returned to reprise her role as Bo Peep. New additions to the cast include Tony Hale as Forky, Keegan-Michael Key as Ducky, Jordan Peele as Bunny, and Keanu Reeves as Duke Caboom. Directing the film is Josh Cooley, with Inside Out veterans Jonas Rivera and Mark Nielsen producing. The story was put together by John Lasseter, Pete Docter, Andrew Stanton, and Lee Unkrich. Legendary singer, song writer, and composer Randy Newman is back for the film’s music. Disney and Pixar also released a new poster for the film with the trailer, which you can enjoy below. Toy Story 4 will be released on June 21, 2019.